Things happen in my house on a whim. Well, not completely on a whim. I spot something I love, I think about it forever and then I finally buy it and the whole house seems to start shifting. It is the bane of my husband's life. He grew up in the same house for years with the same walls, etc. I hear this a lot. Last weekend I snatched up these lamps in a New York minute. I couldn't grab them quick enough. They are huge, with incredible details and I was able to talk the lady down to $175 for the pair of them. I know ... a steal. I brought them home and immediately headed for the den ... knowing they would be the perfect fit behind our sofa. Except, they blended right in with the floral sofa and you couldn't see them at all. AT ALL. It was a whole where's waldo moment. Where oh where had I just placed the vintage rose medallion lamps. So ... I have temporarily placed them in the office, but there permanent home will be in the den. As soon as I move the current sofa to the basement, score a new sofa and move a few things around. This is how the rabbit hole begins for me. 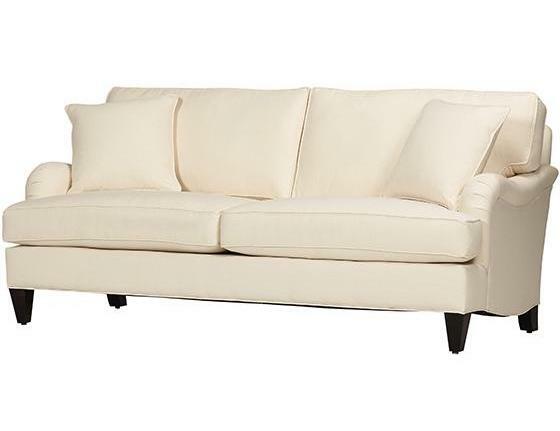 I have had my eye on a new sofa for quite some time, I just haven't pulled the plug on this major investment. I have however, pinned quite a few that I am crushing on. And by crush I mean CRUSH! Until the perfect sofa presents itself I will love on my new lamps in my office. Doesn't seem like a bad idea at all!!! I totally worded my first comment wrong and it sounded like I didn't love the first blue sofa with the white trim...but I adore that sofa. It is a show stopper. I love the lamps too. What a find. I have a collection of Rose Medallion and have loved it since I first saw the array of beautiful colors it carries. You will always be glad that you bought those lamps. They are classic! 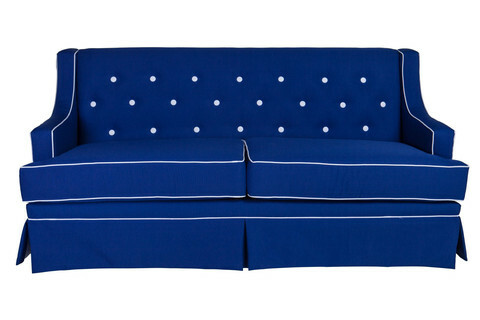 I sat on the new Kate Spade blue sofa at Phipps last week. In the world of blue sofas it is pretty divine. Out of my league and not suited or a home with 2 big Goldens but maybe in your world... Go perch on it!!! And those lamps??? Seriously!!! Those are the prettiest Rose Medallion lamps I've seen and I'm constantly on the hunt!! 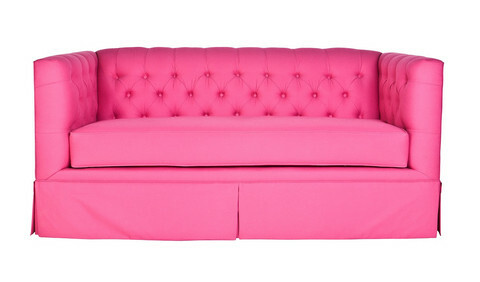 I just sold my sofa and now I wait while my new Thibaut one arrives. Change is good. Can't wait to see what you pick!